If you appreciate original things, then handmade is for you. 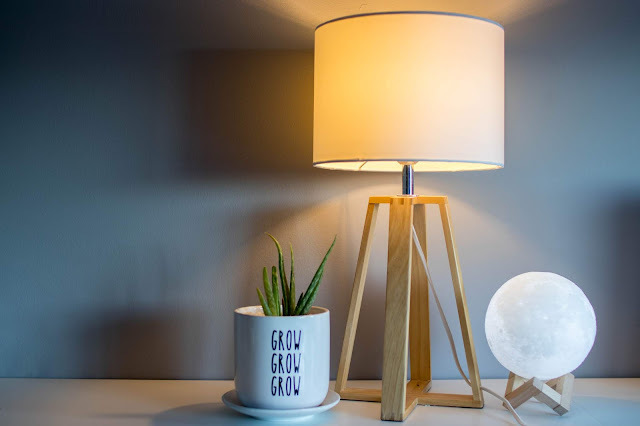 Learn how to transform your interior by making or updating a lamp yourself. Sometimes it is enough to update just one detail to create the impression of a completely renovated interior. And it's not even necessary to pay money to designers, you can do it yourself by just giving your lamp or chandelier a second wind! Design accessories and stylish, unique souvenirs invariably attract attention. Each of these things is a work of art, retaining the warmth of the hands who made them and a piece of the soul of the master. Their presence in the interior speaks about the extraordinary nature of the owners, who appreciate beauty - a table or hanging lamp can be one such detail. So let's turn on all our creative talents, remember the safety rules when using a soldering iron and other traumatic instruments, and direct the creative impulse to make a unique lamp with our own hands. We have gathered some simple ideas to guide you. After searching for a solution on how to create a new handmade lamp or update an old one, one can come to the conclusion that the decision to make the original lampshade is simple and at the same time, quite interesting. Undoubtedly, fiber is the most common material for finishing this element - even factory lamps are often performed in this technique. In cases when such dense fabrics are used, the decor of the table lamp consists not only of replacing the old upholstery with fresh ones, but also in adding spectacular accents. It can be textile flowers made of felt or suede, encircling a decorative twisted cord, noble heavy fringe or romantic lace. You can hand-knit the lampshade cover, sew it yourself even from the elements of unnecessary clothes. or come up with even more interesting things. A table lamp by your own hands is easily made from natural materials such as cones, acorns, and twigs. Working with wood requires skills, but in general, it's not that difficult. For the stand, you can take a round saw, as a supporting axis to make an effective thick branch. Dried leaves or any other natural elements can decorate the lampshade. The most spectacular is the maple leaves, but birch, oak, or ash tree can also perfectly fit the interior. The fragile natural wealth must be varnished, processed alternately from two sides. This will give a tight and glossy appearance. If there is a small wicker basket that hasn't been used in a long time, it can also become a plafond for a wooden lamp. A pair of plastic mushrooms or autumn leaves on a stand will complete the romantic appearance of a wicker table lamp. cutting and modeling of individual parts, for example, textured bottoms. Combine all these techniques, get a cool lamp that's also eco-friendly and be proud of your reasonable approach. Thus, to get such a thing, it is not necessary to search for rare lots of auction sites or to visit the counters of antique shops. All this you can do with your own hands, already today! The main thing is to start!